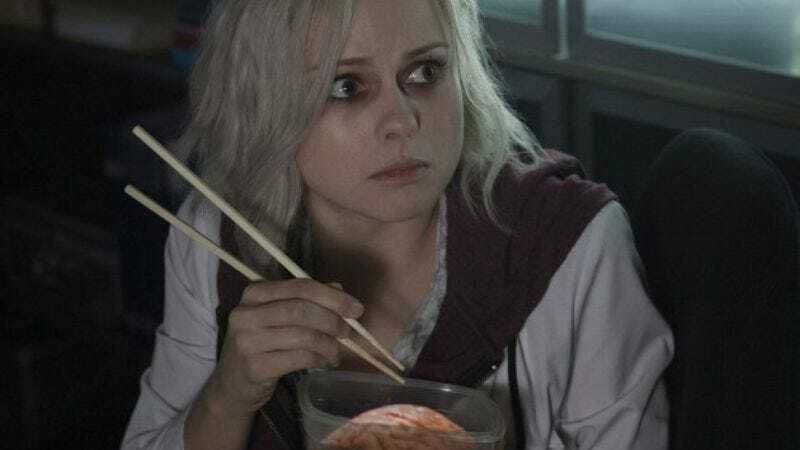 In addition to instilling confusing messages in a generation of young people, iZombie will reportedly be a “case of the week” procedural where protagonist Liv (Rose McIver) will help solve murders by eating the brains of murder victims, thus absorbing their thoughts, skills, and memories. She eats them with chopsticks, because she is quirky. She is also undead, having been attacked by zombies at a fateful costume party; as a result, she is very pale, but otherwise seems fine. And like the zombies repeating the patterns of their previous lives by going the mall in Romero’s Dawn Of The Dead, Liv finds herself drawn to her memories of watching Veronica Mars, manifesting this dim cognizance in the form of voiceover narration. The CW’s version of iZombie, which Thomas admits “didn’t hew terribly close” to the comic-book source material, will premiere on March 17 at 9 p.m. Eastern, where it will take over Supernatural’s post-The Flash time slot.